Home and Proud was established in 2014 by Kim Barnett who has vast experience in painting and decorating and house renovations. Kim has for the past several years successfully and professionally transformed rooms. This has been through project managing large renovations whereby Kim works with a skilled team to remodel complete rooms including bathrooms and kitchens. Kim is skilled and experienced in interior and exterior painting, wall papering, flooring and the general fixtures and fittings that is involved in finishing a newly decorated room. 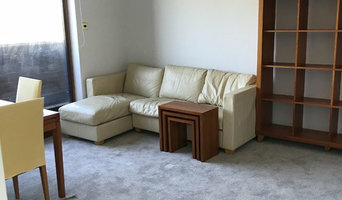 Where Home and Proud differs is firstly, It is operated by a female and secondly, before any work is undertaken a full written comprehensive quotation is provided. This serves as written contract and warranty. This is to ensure there is a lack of misunderstanding and the work that is required will be undertaken to your satisfaction. 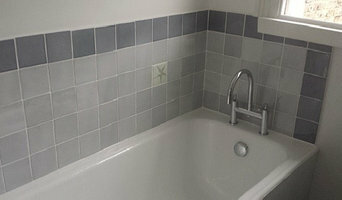 I offer an extensive range painting and decorating services in Lancashire. This covers interior and exterior work, paper hanging, marbling and graining. I can cater for all of your decorating needs, whether it be working with oak in old period property, to contemporary styling of ultra modern barn conversions and everything in between.I cater for large and small jobs within the domestic and commercial sectors. I pride myself on my friendly and reliable service, with customer care that goes way beyond your “first job”. My professionalism explains why many of my customers have continued to use the services I provide. What jobs do painters and decorators do? As well as plain painting jobs, many painters and decorators will take on other jobs as well. If you’re dealing with an old or run-down property and you need the walls completely stripped down before painting, this could be tackled by a painter decorator. Some professionals will also carry out repairs on paint work and walls, from small cracks and holes to sometimes larger repairs like fixing window panes, doorframes and sills. Some painters and decorators may specialise in certain kinds of painting, such as window exteriors, doors, gates and fences. And finally, you may find some contractors are very good at the finishing touches, not only neatly finishing paint work but also installing beautiful wallpaper, wall stickers, painting intricate or fiddly features or even painting patterns and murals on your walls. Why should I hire a painter and decorator rather than doing it myself? Even if you are planning on going very simple with your walls, perhaps a crisp white or grey, then using painters and decorators to finish the job to a high standard is still advisable. Not only will it mean your painted walls will be clean and precise, but it will also save you the time and effort of painting and decorating yourself. House painters will be quick and efficient at painting your rooms, and if you have a tricky outside wall or space that needs painting, specialist exterior painters are the professionals for the job. 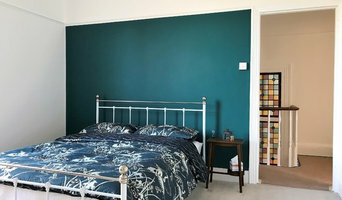 Search for painters and decorators on Houzz to see past painting and decorating projects and reviews from clients to see if there’s a professional that can help you with your project. Even if a local painter decorator doesn’t specialise in your kind of project, ask them first, and they may know other professionals that can help, such as wallpaper specialists, paint companies or wall sticker or mural installers. 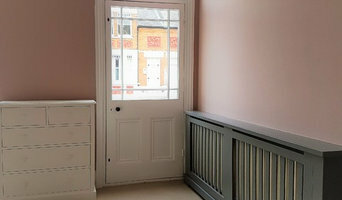 Find a painter decorator on Houzz. Narrow your search in the Professionals section of the website to painter or decorator. 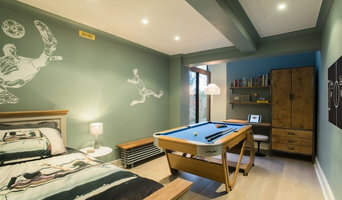 You can also look through photos to find examples of painting and decorating jobs that you like, then contact the professional who worked on them.